Ever since the film was teased by Jamie Lee Curtis last year fans have been eagerly awaiting the film; now we are one step closer. We get to see Laurie, we get to see Michael, and we get to see the film isn’t what Halloween: H2O and Halloween: Resurrection were. The film looks intense and not just another slasher movie. 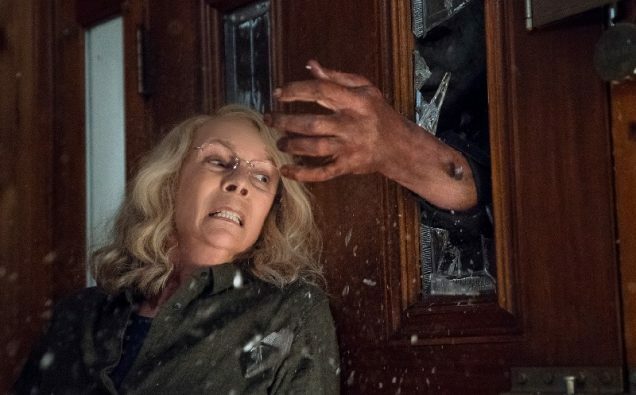 Now I know we’ve all read the reports about “test screening” and whether or not John Carpenter liked what he was or not when he saw it, but if the trailer is an indication, it looks like it can hold up to the high bar set by the original Halloween that the rest of the series (especially the later films) didn’t come close to. Remeber, it’s only 4 months until October.